SCAA Brew Bar - Marco Beverage Systems Ltd.
Hi folks, Marco is sponsoring and supporting the SCAA lobby brew bar this year in association with La Marzocco USA and Kalita USA. The brew bar is in the north lobby of the SCAA exhibition hall, where attendees of both the SCAA Expo and the USBC register, pick up badges, and enter the Expo and the competition. The brew bar is outside of the paid/registered show access, and serves as the first impression for many local/super-regional attendees who may be attending the show for the first time (and those who have been for many years!). The lobby café is open for many more hours than the Expo: Thursday 8-4, Friday 8-5, Saturday 8-5, and Sunday 8-4. (The Expo is open Friday and Saturday 11-5 and Sunday 11-4.). Nick Cho is driving all of the logistics and styling of the café setup and we will have pictures you guys to pour over (Bad pun, sorry) as soon as we get them. We’ll have a full breakdown of all the fun and games at the show directly after it happens as our equipment will be on display on our partners La Marzocco’s stand and Paul and Drewry will be in attendance. 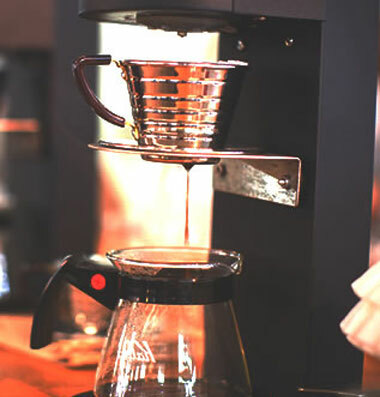 Oh, and don’t forget to check out our range of coffee brewers, water boilers, coffee machines and many other top quality products on our website!